Why is no one talking about a great source of cash for seniors – life settlements? Over 600,000 Canadian seniors are living in poverty. Another 600,000 are still in the workforce. Many more are struggling financially. And the government and advocacy groups like the Canadian Association of Retired People (CARP) seem to be scrambling to help them. And yet, no one is talking about an asset class that belongs to millions of seniors who own a life insurance policy – life settlements. For those of you who are not aware of the elephant in the room – life settlements – let me briefly explain. A life settlement pertains to the sale of an unneeded in force life insurance policy for an amount that is more than the policy’s cash surrender value but less than its death benefit. A study by the London Business School of over 9,000 life insurance policies that had been transacted as life settlements showed that, on average, those polices received more than four times the cash value that they would have received as cash surrender value from the insurance companies. And, of course, many term policies would have received nothing. The problem is that life settlements are not available to Canadian seniors. And that’s an egregious oversight by governments and advocacy groups. Worse, no one is talking to seniors about the financial upside that life settlements could offer them. 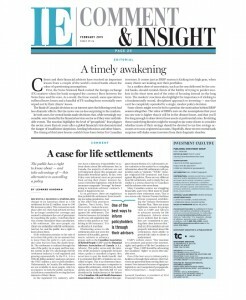 In an April 17, 2015 Globe and Mail article by Bill Curry, Pre-election budget to benefit seniors, including relaxation of RRIF rules, there is a lot of talk and hope about new budget measures – and that is good – but it is obvious that life settlements are not part of the conversation – yet. In a word, ignorance. Governments are either uninformed or misinformed and abdicating their responsibility to seniors. And advocacy groups like CARP and the Financial Planners Association of Canada (Advocis) are not acting in the best interests of their members by ignoring the benefits life settlements can offer seniors. Why are we keeping seniors in the dark? Where do seniors go for honesty? Seniors are kept in the dark, having no idea what life settlements are about or how they could benefit from them. And the insurance companies intend to keep it that way as long as possible. Don’t get me wrong. Life insurance and life insurance companies are very important to over 21 million Canadians and I have been proudly affiliated with the industry for over fifty years. Life insurance companies provide a valuable service and do many good things – except on this issue of life settlements. On this, they are failing their customers. They are serving their own self-interests, not those of their customers, their representatives (financial planners and brokers), their shareholders or their country. If seniors have heard anything about life settlements from their insurer or financial planner or broker it is probably erroneous and misleading information about how life settlements are a “serious risk” (see CLHIA lawyer letter below and my response). That is nothing but propaganda and spin. It only benefits the insurance companies and deprives policy owners of their right to receive fair market value for an asset they own – their life insurance policy. I have covered all the fundamentals about this in my book, Why Are Canadian Seniors Worth More Dead Than Alive?, and numerous blogs and media coverage (see Media). The Canadian media have ignored this issue for years. They too are either ignorant of the facts or uninspired to dig into them. This is an example of where a little investigative journalism is needed. Or as Pulitzer-Prize journalist, Seymour Hersh says, “Our job is to find out for ourselves, our job is to go beyond the debate and find out who’s right and whose wrong about issues. That doesn’t happen enough.” And I, as an advocate for Canadian seniors, say that there’s no debate in the media about life settlements. It is not happening and yet, it would go a long way in serving the public interest, especially millions of seniors in need of financial help, now, not after they’re dead. Around the world, well-regulated life settlement industries are providing billions of dollars to seniors, which in turn streams money into the economy and relieves the cost of government programs. As I have said before, it is a win-win-win. 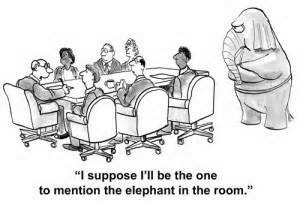 Instead, it remains the elephant in the room for Canadian seniors. 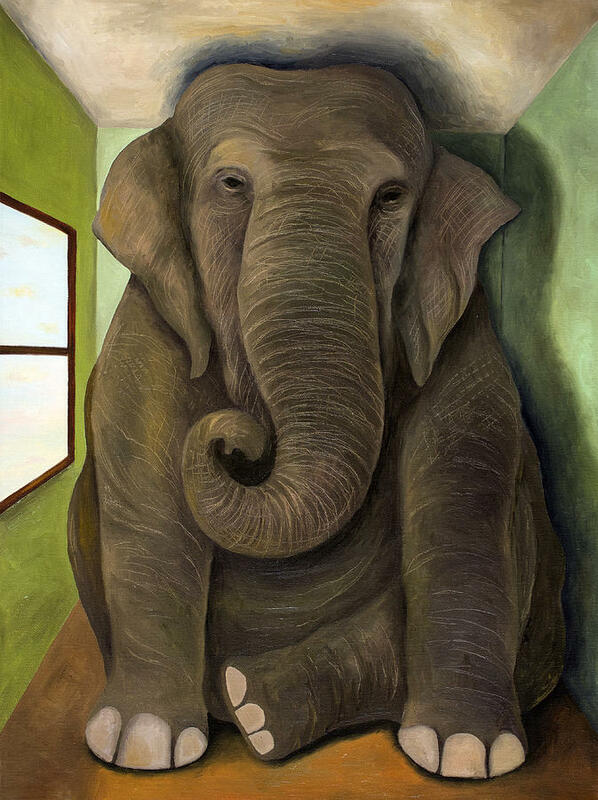 We all know that the one time elected officials pay extra attention is during election campaigns so now is the time to bring out the elephant. And seniors can bring a large elephant to the ballot box. 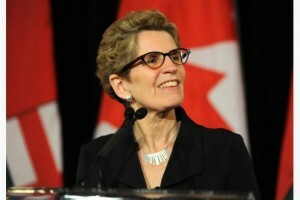 As Bill Curry points out, 75 per cent of voters aged 65 to 74 cast ballots in the 2011 election. It’s time to ask every candidate, and every MPP – election or no election – where they stand on life settlements. And politicians like Peter Braid, MP in the Kitchener-Waterloo riding where many insurance companies reside, should have answers. 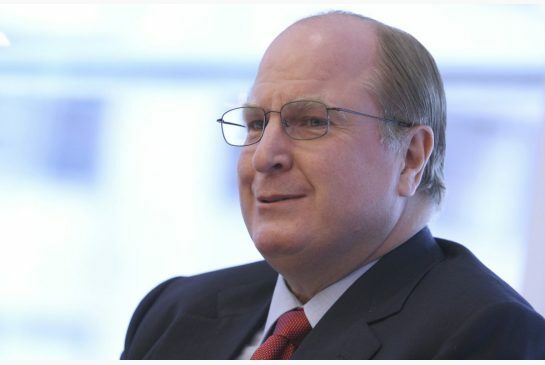 He used to be in the insurance business and is head of the Conservative’s insurance caucus. I intend to see him at some all-candidates meetings because he has yet to respond to any of my correspondence and questions. Also, he “unsubscribed” from this blog, which I expect will mean he remains uninformed about how life settlements could help his senior constituents. Of course CARP advocates for seniors and their VP for advocacy, Susan Eng is out front talking to government officials and the media about all they are doing for Canada’s aging-population. 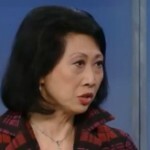 According to Bill Curry’s report, Ms. Eng said her preference would be to get rid of the RRIF rules altogether, but a softening of the withdrawal rates would be an improvement over the status quo. This raises a similar question: Why does CARP’s advocacy not include pursuing changes in the regulations so seniors could receive increased cash value through life settlements? 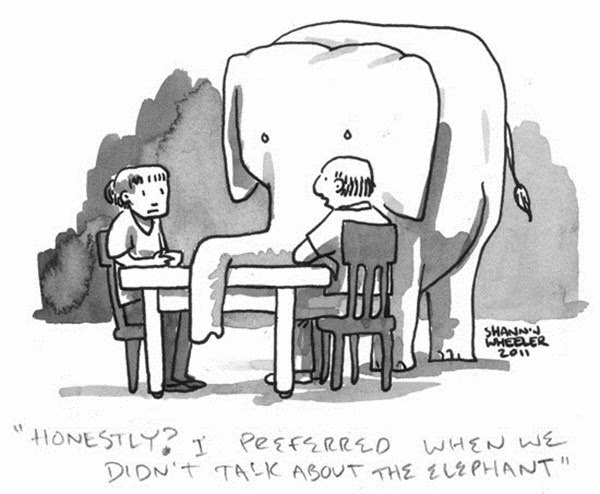 Perhaps Ms. Eng thinks she can “get away with just saying: ‘We love seniors'” and ignore the elephant in the room. Seniors need to take this issue to their CARP membership meetings, and the ballot box, even if their advocates won’t. Is the Canadian Life and Health Insurance Association uncomfortable with risk? In a reply to my January letter to Donald Gulioen, Chair of CLHIA, their lawyer, Mr. Zinatelli stated, “There are serious risks associated with life settlements …” (see March 20, 2015 post below). This seems to me just a way of avoiding my questions. So I have sent another letter to Mr. Zinatelli (see below) in an effort to open up a well-reasoned conversation with CLHIA. I have questions, they – supposedly – have answers. I am proposing that we meet and have a full and honest discussion about life settlements and what they mean to seniors around the world and could mean to Canada’s aging population. The life insurance industry is all about risk so I assume the CLHIA has an abundance of evidence to support Mr. Zinatelli’s claim that life settlements are a “serious risk,” and that they can compare such risk to the risk in sectors such as medical, financial, pharmaceutical and technology. Crossing the street is a risk but we do it all the time. We put in place the proper rules, regulations and protections to mitigate the risk. So for CLHIA to simply claim that life settlements are a serious risk without supporting evidence and cross-industry comparisons is a vacuous statement aimed at avoidance. 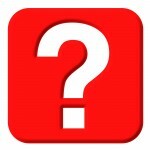 So where are the answers – for Canadian seniors? On behalf of the Life Settlement Association of Canada (LISAC), I am advocating for Canadian seniors and the questions I pose deserve answers not only for seniors but for all Canadians who own, or will buy, life insurance. Although Messers Gulioen and Zinatelli have not yet answered my questions, Mr. Zinatelli did pick up on my suggestion to Mr. Gullioen that I would “welcome” a discussion on these important matters. So I propose that we do exactly that. 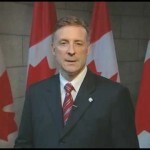 Through Mr. Zinatelli, I request that the CLHIA and the Life Settlement Association of Canada (LISAC), which I represent, meet and begin an open dialogue about the merits of changing provincial legislation so that a well-regulated life settlement industry can be established and offer a valid, financial alternative for Canadian seniors. I sent this email to Mr. Zinatelli on April 13, 2015 and I await his reply. I must confess that both the brevity of your response and comments on behalf of Mr Gulioen do not surprise me. As I mentioned in my blog of March 20, 2015 (http://hereliesyourmoney.com/blog/ ), the CLHIA “ducked my questions.” Of all my questions, you answered none. You said in your letter, “There are serious risks associated with life settlements.” Well that just raises more questions. What risks? Can you be specific? Can you provide factual, supportable evidence? How extensive are such risks? Of course there are risks; life is fraught with risks. Crossing the street is a risk. People buy life insurance because of risk. But people measure risk and decide on the best course of action. So I ask: Regarding life settlements, has CLHIA measured the “serious risks” they refer to and compared those risks to the benefits – benefits to policyholders, not the insurers? And how do such risks compare to other consumer risks in the financial, medical, pharmaceutical, technology sectors? Risks are mitigated by well-regulated industries. Also, let me be clear. I do not suggest that life settlements be “promoted” in Canada (your word), rather that life settlements through a well-regulated, secondary market be an option provided to Canadians, just as they are in other jurisdictions around the world. As per your suggestion, I would welcome, at a mutually convenient time and date, a full and open discussion on these matters that are, indeed, most important to Canadians. You may recall, I wrote an open letter to Donald Guloien on January 28, 2015 in response to remarks he made on Nov 18, 2014 at the CLHIA Annual “Advocacy Day.” (see letter and Guloien speech in my Jan. 27 post). Well, on March 10, 2015, I received a response letter. To say it is a minimal, nominal, token response would be an under statement. Mr. Guloien’s speech to his Ottawa audience was twenty minutes, I wrote a three page, 700 word letter asking six serious questions regarding life settlements and he responds by having someone else write a letter with just three sentences about my book. Your letter dated January 28, 2015 to Mr. Donald Guloien, Chair of the Candian Life and Health Insurance Association (CLHIA), has been referred to me for response. 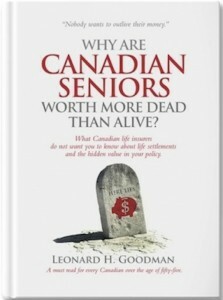 Thank you for enclosing your book, “Why are Canadian Seniors worth more dead than alive? I have perused the book and must say that I cannot agree with many of the assertions contained in it. There are serious risks associated with life settlements and i disagree with the general thesis of the book that they should be promoted in Canada. Perhaps we can have a discussion about this matter at some point. I can be reached at (416) 359-2044 or at fzinatelli@clhia.ca. Frank Zinatelli, Vice President and General Counsel. Invariably, a non-answer is often the most revealing and in this case it’s not what they said, it’s what they didn’t say. Basically nothing. First, let me be clear. I am advocating for Canada’s aging population and I believe that a well-regulated life settlement industry can significantly benefit seniors in retirement (see a few facts below), and millions of Canadians could benefit from life settlements. I have been associated with the life insurance industry for more than fifty years and in my January 28th letter, I told Mr. Guloien that I would welcome an open conversation related to my questions about life settlements. Instead, what did I get? A letter from a lawyer. This is a critical issue. It is about what is best for Canadians, especially the more than five million seniors, many of whom are struggling financially in retirement. First, the issue of life settlements and life insurance is about money and doing what is right for policy owners. It is about 21 million Canadians and millions of seniors who have invested in life insurance but cannot access the fair market value in their life insurance policies if they want to cash in their policy before they die. A study by the London Business School looked at 9,002 policies transacted for life settlements and found that policy owners received, on average, more than four times the cash surrender value that they would have received from insurance companies. This is what a free market system is for and how it should operate. And this is why the CLHIA is opposed to life settlements and why they have no answers to my questions. Mr. Guloien, Chair of CLHIA, an association that purports, “To promote, on behalf of its members, public policies that contribute to the betterment of the Canadian economy and society,” (my italics), does not respond to me when I raise valid questions about an important public issue. Instead, he has the association’s lawyer reply, and even then there are no answers to my questions. Mr. Zinatelli in his letter says, “There are serious risks associated with life settlements.” Well, that just raises more questions: Can he be specific? Can he provide factual, supportable evidence? How extensive are such risks? Of course there are risks, life is fraught with risks. Crossing the street is a risk. People buy life insurance because of risk. But people measure risk and decide on the best course of action. So I ask: Regarding life settlements, has CLHIA measured the “serious risks” they refer to and compared those risks to the benefits – benefits to policyholders, not the insurers? And how do such risks compare to other consumer risks in the financial, medical, pharmaceutical, technology sectors? Risks in life settlements are mitigated by a well-regulated industry – as is done in other jurisdictions around the world. And as is done in the financial, medical and technology sectors. 2. Mr. Zinatelli also says, “i [sic] disagree with the general thesis of the book that they [life settlements] should be promoted in Canada.” He misses the point, and the thesis. I am not “promoting” life settlements – like some new hair cream – I am advocating for Canadian seniors and addressing why and how life settlements can, and should, be a fundamental part of the Canadian free market system and economy. It is about providing a well-regulated secondary market that allows policy owners, if they so choose, to receive fair market value for an asset that they own. That’s it. It is not “promoting,” it is advocating for the public interest. And the public interest trumps the insurance companies’ self-interests. I suggest that CLHIA is “promoting” its self-interests when it, as Mr. Zinatelli does, generalizes and by innuendo engages in promotional scare tactics, disinformation and public confusion. Mr. Guloien, Mr. Zinatelli and everyone in the life insurance industry need to address the facts. If – and it’s a big if – there are “serious risks” then they need to quantify them and compare them against the benefits. Only 24 per cent of eligible tax filers contributed to an RRSP in 2011, depositing less than five per cent of what they were allowed to contribute. In 2011, just over six million Canadians belonged to a registered pension plan. Canadian seniors are unaware of the hidden value that they could access in their life insurance through life settlements and this ignorance is a serious barrier to changing legislation and allowing them open market access to an asset that is rightfully theirs. 80%-90% of life insurance policies are cancelled or lapse, which means the insurers never have to pay the full death benefit. Life settlements change this. These are but a few facts that demonstrate the real need for Canadian seniors to be able to access their life insurance asset through life settlements, if and when they want or need to. It is not about “promoting” or vague risk innuendo, it is about doing what is right. A well-regulated life settlement industry will put more money in Canadian policy owners’ pockets (often more than four times as much) rather than leaving that money in the life insurance companies’ pockets. It’s time for Mr. Guloien, not his lawyer, to join the conversation about how best to do this for Canadians. Recently, I have been having conversations with senior government officials, MPPs and Ministers regarding my concerns about Canadian seniors and the looming financial plight they face in retirement. I have found that most people in a position of responsibility are aware of the overarching problem and the statistics. But few are talking about how life settlements can help alleviate the alarming reality. All these facts are sourced and cited in the Case for Life Settlements document. The average poverty rate for people over age 65 in Canada was 7.2 per cent between 2007 and 2010, a [significant] increase of about two percentage points. It is estimated that at current funding levels, government programs for long-term care will only cover about half of the total cost. As a result, Canadians currently have an astounding long-term care funding shortfall of about $590 billion or roughly $54,000 for each baby boomer in Canada. Given the magnitude of the challenge, urgent action is required to ensure that Canadians will have access to the long-term care they will need. The aging of the population will accelerate over the next two decades and between 2006 and 2026, the number of Canadian seniors is projected to increase from 4.3 million to 8.0 million. The number of Canadians aged 85 plus will nearly double, rising from about 500,000 in 2006 to about 900,000 in 2026 (80% increase). It is estimated that the number of Canadians eligible for Old Age Security benefits will increase from 394,000 in 2013 to 537,000 by 2030. Many will require financial assistance in retirement. As of July 1, 2010, there were 1,333,800 people aged 80 years and over in Canada, representing 3.9% of the total population. The number of people aged 80 years and over could double by the year 2031. It is projected that there could be 17,600 centenarians by 2031 and 78,300 centenarians by 2061. There are many more statistics, but you get the point. This is not simply a time to manage things better, it is a time for true leadership. We must do the right thing. I say this sincerely and adamantly to everyone I speak with, from government leaders and advocacy groups to financial advisors and the CEOs of Canadian insurance companies. We know that whatever plans are in the works, they are not enough and that life settlements can play a valuable role in helping seniors with their financial needs. Not too mention, alleviate some of the financial burden on governments (taxpayers). To have government regulations that essentially prevent life settlements in Canada is … well, financially harmful to seniors and irresponsible governance. We have formed the Life Insurance Settlement Association of Canada because Canada needs leadership in life settlements – now. The new not-for-profit association is taking the lead in advancing and developing a well organized and well-regulated Canadian life insurance settlement industry. The goal for the Life Insurance Settlement Association of Canada is similar to that of LISA in the United States. To educate consumers and advisors about a life settlement as an alternative to allowing an insurance policy to lapse or be surrendered for less than its fair market value, and to advance the highest standards of practice and professional development for the life settlement industry. Download the initial document outlining LISAC’s The Case for Life Settlements Or email us at: info@hereliesyourmoney.com and we’ll send you a copy. Advocacy is not a top priority for mainstream media because their mandate is first and foremost what they call “hard news.” Obviously, they have lots of “soft” content, from entertainment and travel to personal advice but their bread and butter is news. Of course, when an advocacy movement is big enough, important enough and loud enough, then there’s chance the media will pick up on it – at least for a day or two. Beyond that, it’s dependent on good investigative journalists. Or an organized group advocating in the best interests of the public. Or both. Canadian seniors have many advocacy groups and yet, there is not one group that I know of advocating for them regarding the indisputable benefits life settlements can bring to their lives. The selfish motivation behind life insurance companies’ opposition (billions of dollars) is unacceptable, and I question the integrity of organizations like CARP (Canadian Association of Retired People) and Advocis, (Financial Advisors Association of Canada), who purport to work on seniors’ behalf while remaining silent on the veracity and proven value that life settlements can bring to Canadians. It is not the rank and file membership of such organizations that are culpable, it is the leadership. There are many members of Advocis (financial advisors and brokers), who support life settlements but cannot push for them due to the threat from life insurers who can cancel their licensing agreements. It’s intimidation that is in the insurers’ interest, not in the best interests of the advisors’ clients. And very few of CARP’s 300,000-plus, aging members know about the value life settlements could provide because CARP isn’t telling them. Every member of Advocis and CARP should ask their executive where they stand on establishing a well regulated life settlement industry in Canada. Anyone who doesn’t see the problem – and the obvious solution – or chooses to ignore it, either has their head in the sand or their hand in their own pocket. Grassroots movements form around a few principles and if the fundamentals are right, the movement always wins. 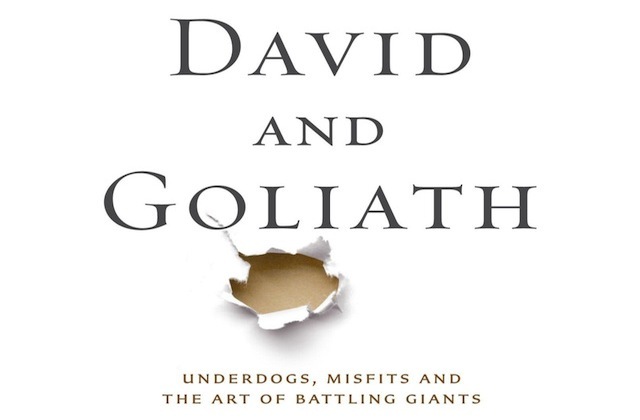 As in the story of David and Goliath, right, not might, prevails. And I believe the battle to bring a well regulated life settlement industry to Canada – as exists in the US, England, Europe and Australia – is right. And the might of the life insurance companies’ opposition will not prevail. 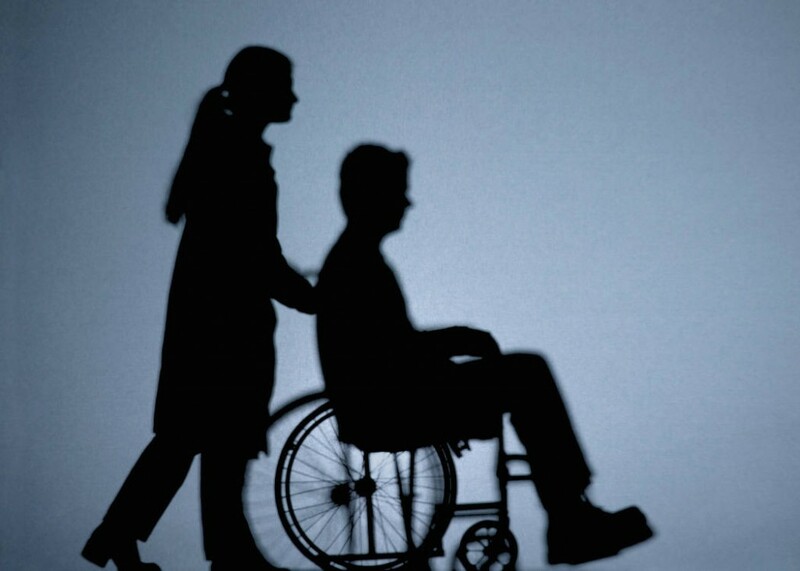 The cause must be right for the majority of people (over 5 million Canadian seniors). To fuel a movement there needs to be an oppressor using their size and clout to protect their self-interest (Canadian life insurance companies) at the cost of the majority’s interest. An effective coalition must unite behind the cause and engage the majority. The politics will move if the public move. The life settlement issue in Canada meets these criteria and a coalition has formed and momentum is building. Recently, I wrote a column for Investment Executive magazine (Feb. 1, 2015 issue) and covered the essence of the issue in about 700 words. I make the entire case in my book, Why Are Canadian Seniors Worth More Dead Than Alive? The book, the articles (more to come) and the current supporters are just the catalyst and the beginning of a growing advocacy that will ensure that what is right will be done for the millions of Canadians with life insurance. I pose another question: Was Donald Gulioen, CEO of Manulife and Chair of the Canadian Life and Health Insurance Association (CLHIA) sincere when he said in his Nov. 18, 2014 speech (see previous blog below), “We’re deeply involved in … and committed to … the health care and financial well-being of Canadians, and Canada’s economy.”? If he was, then he and his colleagues need to walk the talk and do what the rest of the world is doing and support life settlements. Canada deserves it. And every owner of a life insurance policy in Canada deserves it, and is entitled to it. I recently read the transcript of a speech by Don Guloien delivered at the Canadian Life and Health Insurance Association’s “Advocacy Day,” on November 18, 2014, in Ottawa. The theme of the meeting was, “Investing in Canada’s Health and Prosperity.” In keeping with that theme, I posed several questions in a letter to Mr. Guloien. I raised the following questions based on direct excerpts from the speech. I have also posted the full transcript of Mr. Guloien’s speech at the end of this blog. I read with interest your speech at the Canadian Life and Health Insurance Association’s “Advocacy Day,” and following from the theme of the meeting, “Investing in Canada’s Health and Prosperity,” I would like to address a few questions. My wish is to open a dialogue with you and the CLHIA – as I have with a number of elected and government officials – regarding what I consider a critical issue for Canadians and the burgeoning cost of health care, pensions and retirement support for our aging population. If this is true, why do life insurance companies in Canada continue to oppose the implementation of a well regulated and fiscally controlled life settlements industry in Canada? Particularly when life settlements are a well regulated industry that helps millions of citizens in the United States and other countries around the world. “From our vantage point, it is evident that Canada’s social programs, such as pension plans and universal health care, are under enormous pressure. Comment: This is an excellent principle, one that is being followed in the United States. For example, in Texas there are bills such as the first Medicaid life settlement law, which allow for proceeds of a life settlement to help fund long-term healthcare needs without barring individuals from enrolling in Medicaid. This helps take the burden off of government funded programs. Do you not consider Canadian seniors who are struggling financially, and who own life insurance policies, to be “stakeholders” who need the industry “to explore new ways of providing” help? And if laws in the USA allow for proceeds from life settlements to help long-term healthcare needs then why not in Canada? Comment: Regarding “regulators contemplating new rules,” Canada is not at the forefront in key areas that can financially benefit seniors rather we are trailing the rest of the world by a wide margin. Why would the life insurance industry not support “a strong, principles-based regulator … playing a leadership role in developing sensible regulation …” that would allow Canadian seniors to access their life insurance asset through a life settlement? Does “good business sense” preclude good social sense? To your earlier point regarding “Canada’s economy,” does not the financial well being of a growing senior population have serious, government cost implications that can be eased through public-private efforts like life settlements? (See Texas example referred to above). Why do you not consider well regulated life settlements as a valid, practical and beneficial way of helping Canadians in retirement; thereby, alleviating dependency on social welfare programs? Why not assist Canada’s aging population to access what is recognized in most jurisdictions as the accepted, fair market value of their life insurance policies by way of a well regulated, life settlement industry? It is respectfully hoped that you will accept these comments in a constructive and well-intentioned manner. I take the liberty of enclosing a copy of my recently published book, Why Are Canadian Seniors Worth More Dead Than Alive? 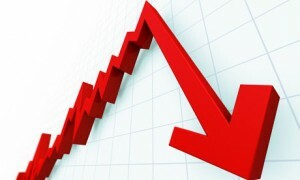 which addresses the subject of life settlements – as does my website www.hereliesyourmoney.com. I trust you will find them of interest. Indeed, I would welcome an opportunity to have further discussions with you on these matters that are so important to Canadians. Thank you for your kind introduction, Peter [Braid]. Honourable Members of Parliament, Minister Holder and distinguished guests, I want to welcome everyone on behalf of the Canadian Life and Health Insurance Association. We are delighted that you could join us this morning. This year’s theme is Investing in Canada’s Health and Prosperity. funding and sustaining the public infrastructure that will ensure Canada’s future development. The life and health insurance industry is involved in all these areas. We believe we are making a significant contribution toward finding solutions to these challenges. But more can and needs to be done. How our country addresses these challenges will help determine Canada’s continued success. That’s why we are taking an active role in public policy discussions on these issues … and that is why we are here today. Although our roots are in life insurance, innovation is very much part of our industry’s DNA. As a result, we have been successful in adapting to the changing financial landscape, both at home and abroad. employ more than 150,000 Canadians, including close to 97,000 agents and advisors. 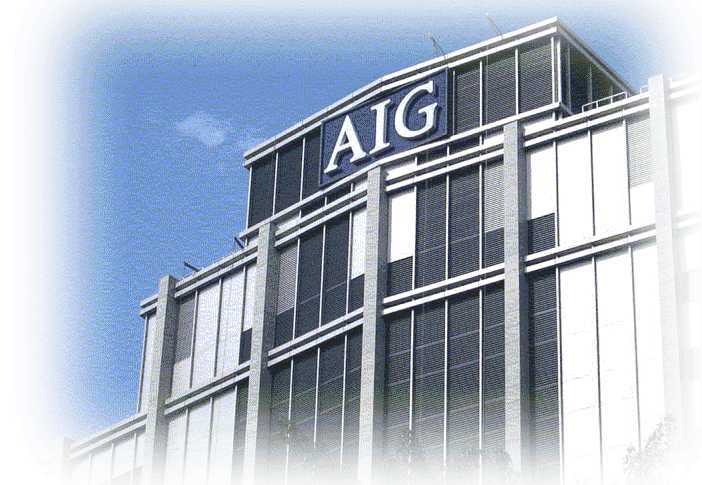 active in over 20 countries worldwide, where we hold assets of another $658 billion. We’re deeply involved in … and committed to … the health care and financial well-being of Canadians, and Canada’s economy. From our vantage point, it is evident that Canada’s social programs, such as pension plans and universal health care, are under enormous pressure. Canadians … from all walks of life …. are rightly concerned about the future well-being of these programs. The life and health insurance industry has the capacity and the expertise to be a strong partner with government and other stakeholders to explore new ways of providing and financing these critical programs. 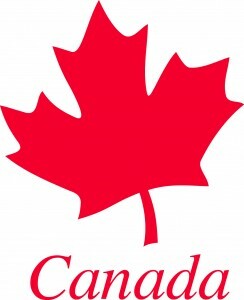 Programs that help make Canada such a compassionate and wonderful place to live. – Pooled Registered Pension Plans, or PRPPs, that will increase access to workplace retirement plans for millions of working Canadians. – Overall, our industry administers over 70% of all pension plans and over 90% of group RRSPs. For many businesses, extended health benefit plans are effective tools to attract and retain high-quality employees. Yet employers who offer fully insured benefit plans may face some difficult decisions. For instance, one of their employees could be diagnosed with a rare disease requiring a drug treatment costing thousands per month. This alone could make an employer’s health benefit coverage unaffordable, and that may force them to reduce or completely drop drug coverage. To help these employers hold on to their plans … especially small- and medium-size businesses … our industry took action. On January 1st last year, all life and health insurers worked together to launch the Canadian Drug Insurance Pooling Corporation. Through this pooling arrangement, participating insurers share the costs of very expensive and recurring drug treatment claims. This innovative approach is keeping plan costs affordable for employers. At the same time, it shelters their employees from the full financial burden of the prescription drug treatments they may require. In 2013, the new pooling mechanism paid more than 4,000 prescription drug claims of over $25,000. Several individual claims exceeded $500,000. One was over $1.2-million. Canada, like so many other countries, has financial challenges when developing and maintaining public infrastructure projects. In fact, estimates suggest we currently have an infrastructure deficit of more than $350 billion. This infrastructure deficit must be addressed if Canada is to realize its full growth potential in the coming decades. Sustained long-term growth needs predictable long-term investment. The long-term nature of the insurance business is well suited to this type of investing as our obligations to policyholders often span several decades. The importance of encouraging long-term investment in public infrastructure has also been recognized internationally by the G20 and the OECD. The G20 Finance Ministers called for the creation of a Global Infrastructure Initiative to increase quality investment, especially in infrastructure. The CLHIA strongly supports this international initiative and Canada’s role in it. These countries, Canada among them, are looking closely at how they can encourage Public Private Partnerships, or P3s, and better ways to engage the private sector in these projects. P3s, for their part, have been effective in delivering infrastructure projects on time and within budget. 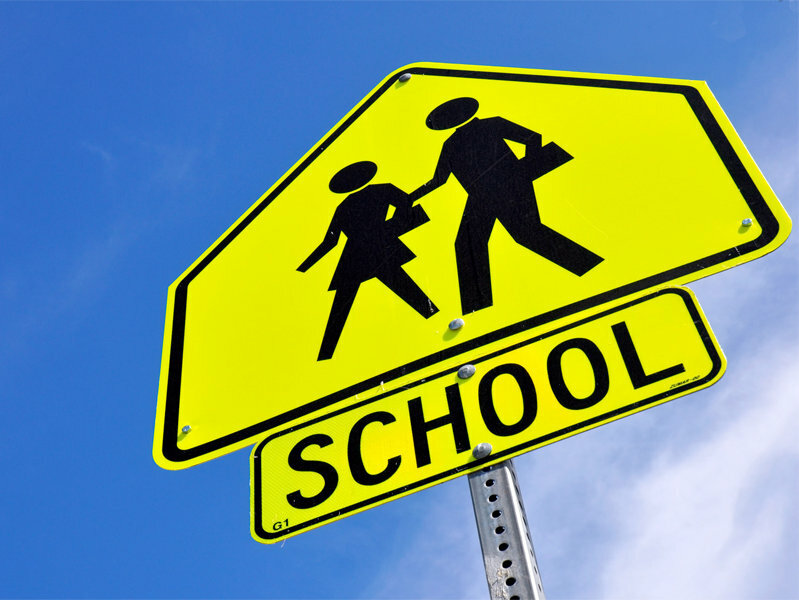 The Canadian government has played a very proactive role in promoting P3s across Canada through the creation and funding of a Crown Corporation called P3 Canada. We applaud the government for this, but believe more can be done. Our industry is a participant in public infrastructure and has the ability to do more. We have the funds to invest here at home and we are interested in increasing our stake substantially in this important sector. But our involvement in these projects has to make good business sense. We invest in infrastructure to support our liabilities on long-term products. Therefore, we should ensure that changes to financial and capital standards do not constrain our ability to offer long-term products, as otherwise our need for infrastructure investments could see a dramatic decrease. We must continue to ensure that accounting and capital rules do not penalize investments in infrastructure assets that typically provide stable cash flows to support our liabilities. In such projects, as in all our activities, the future direction of Canada’s life and health insurance industry will depend in no small measure on the regulatory environment in which we operate. As financial institutions emerged from the 2008-2009 financial crisis, there’s been an unprecedented leap in the level of regulation. We understand … and fully support … the role of regulators in protecting the public interest and ensuring the conditions that led to the financial crisis do not occur again. We are blessed in Canada with a strong, principles-based regulator in the Office of the Superintendent of Financial Institutions. Canada is well respected in international financial circles and is playing a leadership role in developing sensible regulation. As international financial regulators contemplate new rules governing areas such as capital and accounting, Canada must continue to be at the forefront. Our industry requires a regulatory environment that does not substantially increase the cost of financial services to Canadians or stifle innovation, growth and competitiveness. Canada has a very bright future. And it boasts a vibrant life and health insurance sector that remains at the economic forefront internationally and domestically. Our industry will continue to innovate by building on the solid foundation we have developed over more than 150 years. 1) We can and want to do more to help Canadians save for retirement. 2) We can and want to help sustain Canada’s healthcare system. 3) We can and want to invest more in public infrastructure at home. Our industry has the capacity and expertise to play an important role in these areas. In partnership with governments and businesses, we can contribute to effective long-term solutions. We look forward to continue working on these with governments and other organizations, such as those represented in this room. I am confident that, together, we can create the innovative solutions essential to making Canada even more healthy and prosperous. 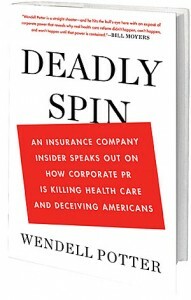 An insiders view of insurance companies and their media spin machine. It’s not working for you! 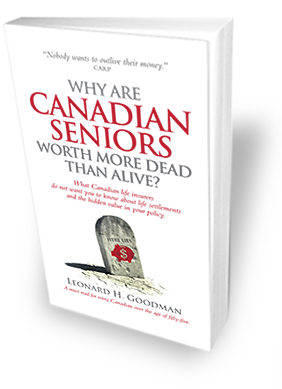 You may not yet have read my book, Why Are Canadian Seniors Worth More Dead Than Alive? or heard about why “life settlements” are financially helping millions of seniors around the world – except in Canada. And if you’ve heard a “negative” story concerning life settlements, it is because misinformation is being spun by Canadian life insurance companies to prevent people from maximizing the inherent value in their life policies – in an open, free and fair market system. My recently published book (July 2014), lays out the egregious financial disservice Canadian seniors are suffering from because of life insurance companies’ action and inaction. If you want further insight on the action they take to keep people in the dark, read Wendell Potter’s book, Deadly Spin (2010). If you want to know about their inaction, and the potential value you have in your insurance policy, read my book. Life settlements – the time has come! In the case of life settlements, my book demonstrates why millions of Canadians who own a life insurance policy cannot maximize their policy’s cash value in an open, market system. I cover, in detail, why it is wrong and how the time has come to fix a blatant oversight that prevents millions of seniors from benefiting financially. The purpose of the book and my goal is to inform the public so that they can be the catalyst that leads to changing the egregious regulations on the legislative books of six Canadian provinces. This is a two-pronged problem: 1) It is manipulation of the free market system by insurance companies; and 2) It is perpetuated by the insidious insurance PR machine, and unwittingly or otherwise, by the media’s lack of interest and investigative journalism. An October article in Investment Executive (IE) is a good example. In short, the editor and a writer at IE ran an ill-informed and misleading article, Insurance: Policy sales, transfers under fire. Ontario regulator says advisors may be on the wrong side of the rules. At best, it misrepresented life settlements and at worse, was a major disservice to Canadian seniors and the financial advisors and brokers who serve them. (See updated postscript at end of this blog). Let me be clear, I was interviewed for an hour by the writer, a Ms. Harman, and she had had a copy of my book for several weeks. There is no doubt that she had an opportunity to gain a clear understanding of life settlements and how they are different than other services and products that too often get co-mingled with life settlements. The question is: Why would a well-respected publication like Investment Executive not produce thorough, balanced, fact-based coverage of this most important issue in the financial sector? And why would IE editors allow Ms. Harman to co-mingle a number of non-related or marginally related subjects with life settlements? Viaticals, STOLI and borrowing against life insurance are quite different from life settlements and to treat them as she did is a disservice to readers and the aging Canadian boomer market. They deserve to know what millions of people in other countries know and have the opportunity to access an asset that is theirs. In the United States alone, over $7 million a day is being received by policy owners through life settlements. The current potential for life settlements in Canada is estimated to be $40 billion and that is based on just 5% of the total, in force, life insurance policies in only four Canadian provinces: Saskatchewan, Quebec, New Brunswick, Nova Scotia. In the United States the market is projected to be $140 billion in 2015 (Source: Conning Research). There is a great need to unlock the hidden asset value in millions of life insurance policies and one stroke of a government pen can dramatically improve seniors’ opportunity to financially improve their retirement years. 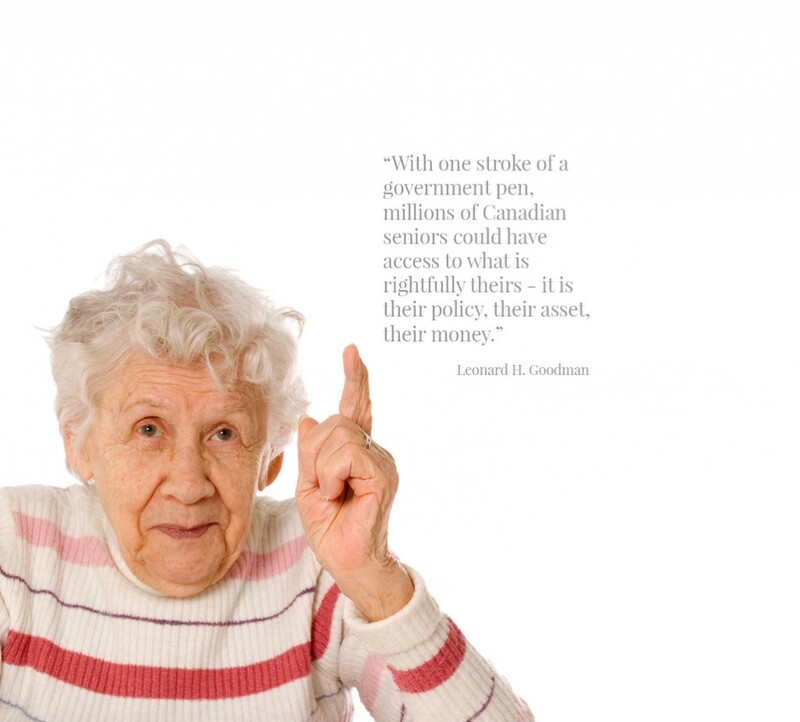 Ironically, IE magazine ran another article on Oct. 31, 2014 titled, Financial literacy strategies must take seniors’ needs into account by Lee-Anne Goodman (no relation). In it, they quoted Susan Eng, vice-president for advocacy at CARP, who said the study reflects what her organization is tackling: “Not only do seniors not have enough money saved for their own retirements, but as they try to invest for their retirement, they are often vulnerable to shark activity by financial advisers.” This is a valid point, in part. As are other points in the article. 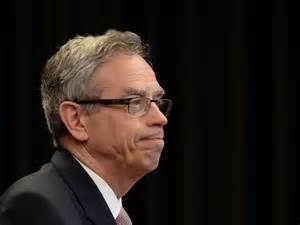 Eng said,”They are losing their life savings, and that concerns us the most.” The article also stated that “The number of Canadians working past the age of 65 has almost doubled over the last seven years. There are now close to 600,000 seniors still in the workforce.” The article goes on to state that Eng says governments of all levels must do more to encourage registered pension plans, and to crack down on financial predators who target seniors. And yet, there is not one mention of the financial benefits that life settlements are providing to lighten seniors’ financial burden, around the world – except in most of Canada. Why are life settlements so ignored by organizations like CARP, Advocis (the association of Canadian financial planners) and the media in general? Or is this part of what Wendell Potter calls the “dark art of PR?” Are organizations like CARP (who receive significant advertising revenues from insurance firms) using code words like “shark activity” and “financial predators” to imply or co-mingle life settlements with pejoratives like “viatical and “STOLI?” Just as Ms. Harman’s article did. I cover in my book why life insurance companies are dead against life settlements for self-serving interests – profits. And why they are not putting customers’ interests first. They are the main reason for the lack of open discussion in Canada. Current regulations prevent policyholders from being able to sell their policies in an open market, for a fair market value, in a well-regulated industry. In my book, I share my personal experience as to how one life insurer tried to intimidate my firm and stop us from offering life settlements. I suspect such intimidation practices are a regular occurrence between insurers and insurance brokers. Now, as I work with others to change the existing, harmful government regulations, I expect the insurance company lobby and spin machine to shift into full gear. I only hope – trust – that the Canadian media will not “fall for” the spin Wendell Potter describes in his book, Deadly Spin. If financial advisers and brokers are uninformed or misinformed by erroneous reporting about life settlements they cannot best serve their customers. And although they may not be engaging in what Ms. Eng called “shark activity,” or what Ms. Harman called being “on the wrong side of the rules,” they are still complicit through ignorance. A well informed adviser should start with an understanding beyond a myopic Canadian market view, one that investigates the real value of life settlements, and how it is bettering the lives of seniors in the United States, Europe and globally. That responsibility rests with the industry professionals, many of whom are members of Advoics and yet, Advocis seems to be ignoring the veracity of life settlements and the benefits available to their members and Canadian seniors. From CNN, Fox and NBC to Investment Executive and industry newsletters, responsibility is lost in the tumultuous news cycle. Obviously, each financial adviser is responsible for his or her expertise but if they are unaware of the full story or get superficial information, then the burden of responsibility shifts to the “messengers,” which, in most cases, are the associations (Advocis, CARP, CLHIA, et al). But the public media also have a role. If the messengers provide only half the story or distort the facts or spin the information, then they are abdicating their responsibility to deliver a fair and balanced perspective to the public, their customers. In the hurry-up culture of today’s media, vigilance and in depth reporting has been abandoned. Most of the news is bleached of substance in the 24/7 digital world of CNN, Fox, Twitter and You Tube. The media are caught in the crush and depend too much on the false information spewed out by the insurance PR machines. But somewhere in the pell-mell rush to deadlines there must be – needs to be – some responsible, in depth, principled, investigative journalism. Subsequent to the October Investment Executive article by Ms. Harman, I met with the publisher, Ms. Ozy Camacho and was invited to write a column regarding life settlements, which I have done. The first column will appear in February.